“Chestnuts roasting on an open fire,” goes the Festive Season song. We associate chestnuts with Christmas, roasted whole or made into succulent stuffing. But this seasonal treat was once a staple food for many people, including the Corsicans. The Genoese ruled Corsica for hundreds of years before the French took over in 1768. 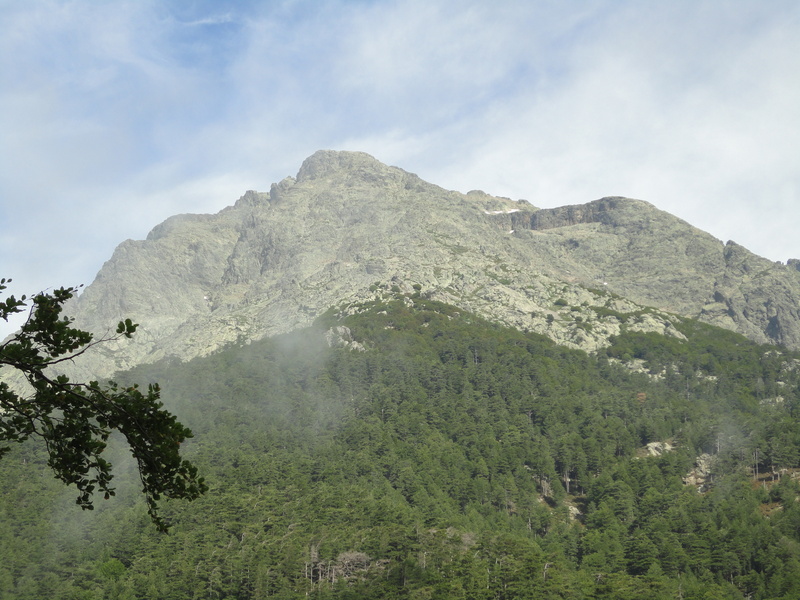 They planted sweet chestnut trees throughout the island, especially in the central area now known as La Castagniccia. On this mountainous island, where wheat grew only in the formerly malarial plains around Aléria, chestnuts provided flour for bread and food for pigs. Corsicans also made chestnut pulenda (polenta), beignets (fritters) and tourtes (pasties filled with ewe’s milk cheese and herbs). During a visit to Corsica, we took the little train from Ajaccio up the narrow gauge railway into the mountains. The steep slopes are thickly clothed with chestnut forests, in the midst of which sits the village of Bocognano. 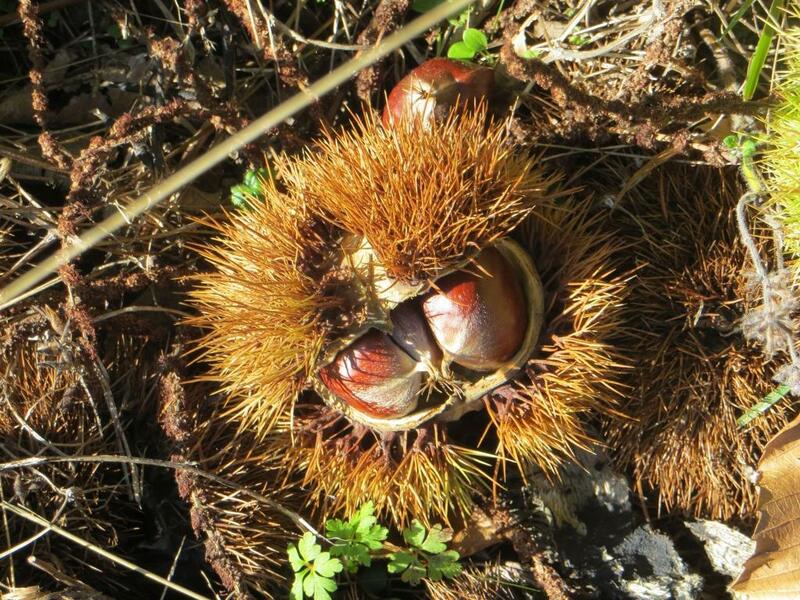 On this weekend every December, Bocognano hosts its annual chestnut fair, a fiera di a castagna in Corsican, which celebrates the nut in all its forms. The highlights include visits to a chestnut mill, a cookery demonstration, the sale of chestnut saplings and an evening of traditional songs. There’s also a restaurant serving pulenda and fasgioli, a stew of haricot beans, sausage and ham. You need to climb a few mountains before embarking on that meal. Antoinette and Charles Hiver run a chambres d’hôtes at Saint-Pietro di Venaco, further along the railway line. Their house has a breath-taking view of the valley below and the peaks beyond. We shared Antoinette’s excellent meals with the other guests at a long table, savouring canistrelli (biscuits), beignets and pancakes made with chestnut flour that Antoinette grinds herself. “It takes four kilograms of chestnuts to make one kilogram of flour,” Antoinette explains. She and Charles used to take their chestnuts to a miller but, wary of sharp practices, bought their own small milling machine. To make chestnut flour, you have to gather the chestnuts, remove them from their spiky casings and then take off the shells. Charles does this with a sharp knife at the end of the table, which Antoinette says is thick with tannin afterwards. The shelled nuts are dried thoroughly before being ground in the machine. 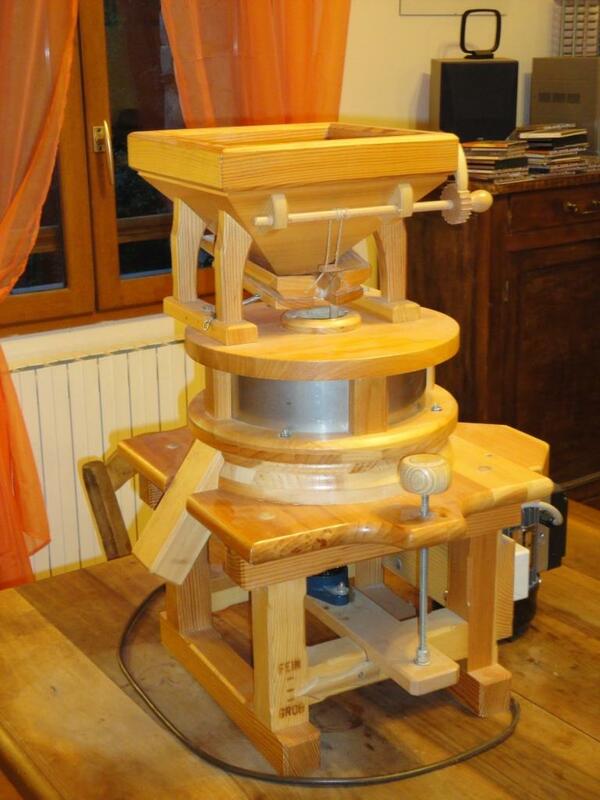 Antoinette makes about 200 kilograms of flour per year, some of which she uses herself. The rest she sells to bakers or local people who make cakes and biscuits with it. 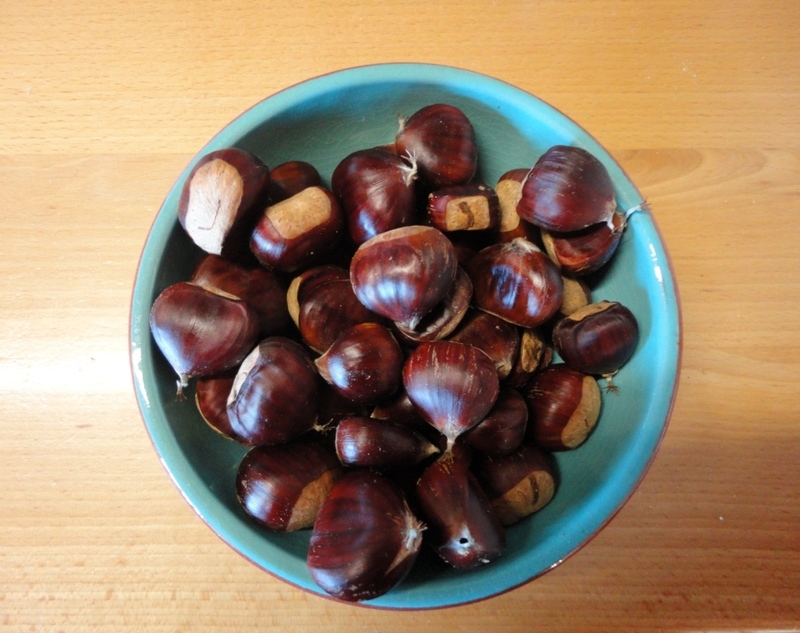 Today, chestnuts are used in a much wider variety of ways in Corsican cuisine. You’ll find some recipes (in French) here. There’s even a brand of beer, Pietra, made from chestnuts. Don’t miss exclusive content and special offers. Sign up for my free quarterly newsletter. This entry was posted in Corsica, Historical Fiction and tagged Bocognano, Bocognano chestnut fair, châtaignes, chestnut forests, chestnuts, Corsica, Genoese in Corsica, historical fiction, Pasquale di Paoli by nessafrance. Bookmark the permalink.